Sleek architectural lines meet minimalistic furniture, vibrant colours & cool design features at the ibis Brisbane airport hotel. Located right in the heart of all the action, our Brisbane airport accommodation is perfect for business and leisure travellers who are looking for convenience. Take in stunning views of Moreton Bay & Brisbane's surrounds or take a front row seat with first class plane spotting. Also within the Brisbane airport hotel is the bistro styled restaurant; Cribb Island Beach Club. Brisbane is a popular tourist destination, serving as a gateway to other great spots in Queensland, in particular the Gold Coast & Sunshine Coast. 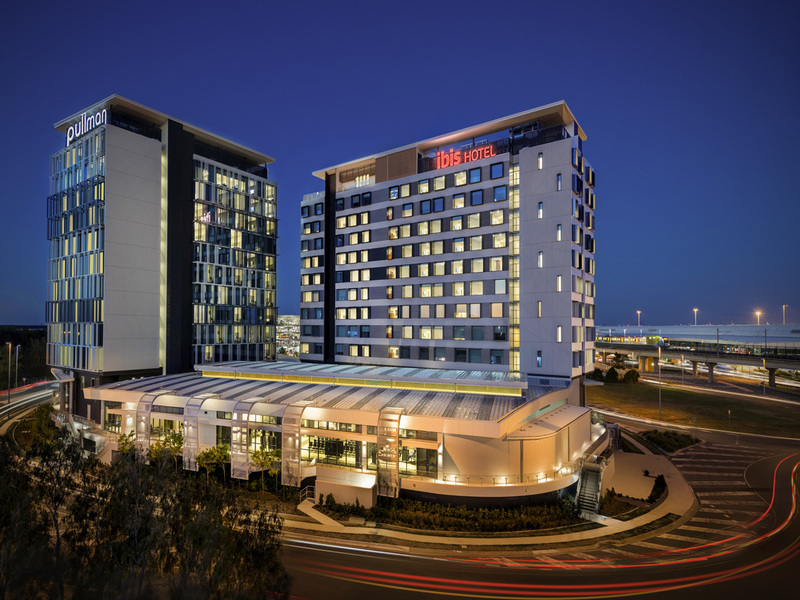 For business or leisure travellers just passing through, ibis Brisbane airport hotel is a convenient option. Each spacious room features a bathroom, LCD TV, ironing board, mini fridge and natural lighting. There will be nothing but good time vibes at the Cribb Island Beach Club. Chow down on a wood fired pizza or sink a straw into one of Cribb Island's famous spiders that are sure to bring back fond childhood memories. Choose a spot at one of the high timber tables on the sun drenched outdoor terrace or keep your cool indoors under the industrial fans, on the bright tables with pops of yellow and crisp white to enjoy leisurely drinks or a meal with friends.